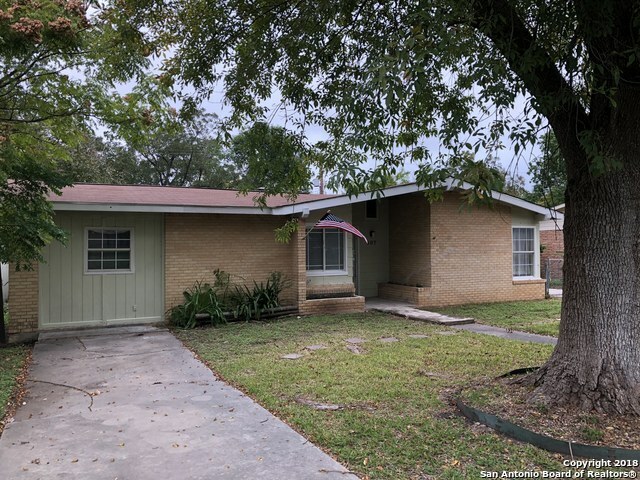 All EAST TERRELL HILLS homes currently listed for sale in San Antonio as of 04/22/2019 are shown below. You can change the search criteria at any time by pressing the 'Change Search' button below. "BEAUTIFUL REMODELED HOME ON ONE STORY. NEW HARDWOOD FLOORS AND CERAMIC TILE. NEW KITCHEN, BLACK LEATHERED GRANITE COUNTER-TOPS; NEW COOK TOP (CONVECTION), NEW OVEN, NEW DISHWASHER, NEW WATER HEATHER. A/C SYSTEM IS ABOUT ONE YR OLD; ROOF WAS REPLACED 2 YRS AGO. NEW PAINT IN/OUT. 2 CAR GARAGE WITH AN OFFICE ON THE BACK (ALLEY). LARGE FAMILY ROOM WITH AN IRON FIREPLACE. ALL NEW CEILING FANS AND ALL FIXTURES. WONT LAST!!!" "Completely renovated one story home with all the extras ready for new owner. Don't miss this 3 bed with converted garage could be 4th or extra living room. All bedrooms have recent carpet, laminate and tile in wet areas, cleaned and ready. Kitchen has stained wood counters, subway tile backsplash, recent stainless gas stove, dishwasher, and ample cabinet space. Back yard has tons of room for that perfect BBQ, or entertaining. Workshop storage built in shelving." "If you see it you can't help but buy it"
"On a corner lot, cozy 3 bed/2 bath single family home in good condition in quiet and safe neighborhood. Attractive front yard with fruit tree and shade, fenced backyard with covered patio. Newly renovated kitchen and well maintained roof, A/C, water heater (outside) and with a one car garage. A great starter home with an excellent school district, near-by shopping, parks, walking-running-bike trails. Conveniently located to all of San Antonio's main attractions ATT Center, Riverwalk, Pearl"